A new deck is a big investment. And when making such a big investment, it is important to entrust the work to a qualified, reliable deck builder. 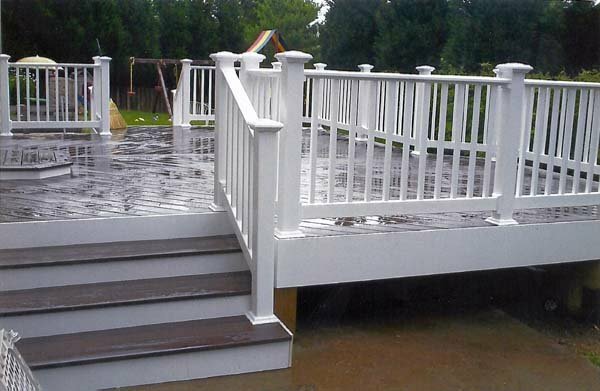 But how can you find the right decking contractor amongst the never-ending listings found online? Well, the answer is simple…research! 2. Do you have a list of references? 4. Finally, ask for a preliminary estimate. Check References: Now that you have the list of references, check them out! They will be able to tell you how efficient, reliable, and hard working your potential builder is, as well as whether they stayed on budget…or not. And, most importantly, would they recommend this deck builder? Check Their Work: Go and see some of your potential deck builder’s work first hand. This will give you a clear picture pf the quality of work this deck builder does. Chemistry: How well do you and your potential deck builder get along? At the end of the day, you have to be happy with your decision. If you do not get along with a deck builder, there is no need to hire them. By following these simple guidelines, you’ll be well on your way to finding the right deck builder for your decking project! This entry was posted on Wednesday, December 18th, 2013	at 5:50 pm	. Both comments and pings are currently closed.